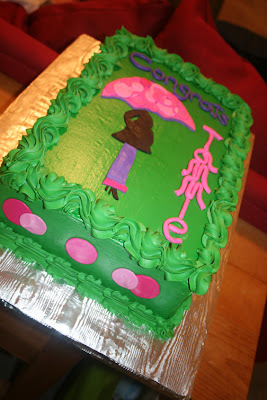 This is the second "Mod Mom" cake I've made for a baby shower recently! What a popular theme! It's a strawberry cake with vanilla buttercream and mmf decorations. 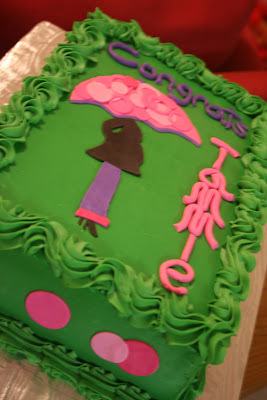 I'm pretty happy with the outcome of this cake, I like the color and I dig the way the fondant message came out as well. I can't wait until this Texas summer is over and I don't have to keep my cakes in the fridge! Words are not enough to describe how hungry I am after seeing these cakes. Words cannot also describe how much I would like to eat them ALL.